Quick-fire Q&A round | What Car? Can I get discounts on options as well as on the list price? Yes aim to get the same percentage discounts off options as on the list price. Id like to downsize to a small automatic. Which are the best? We recently did a feature on the best options. You can find the article online at www.whatcar.com/smallautos. 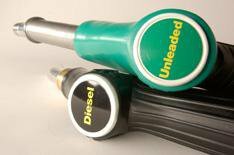 Should I get a petrol or a diesel? Our in-depth online feature takes you through the sums and your options at www.whatcar.com/petrolordiesel. Try a Cadillac Escalade, Citron C8, Hyundai i800, Mercedes Viano or Toyota Land Cruiser, or one of the many van-based MPVs like the Ford Tourneo Connect. What five-seater convertibles are on the market?